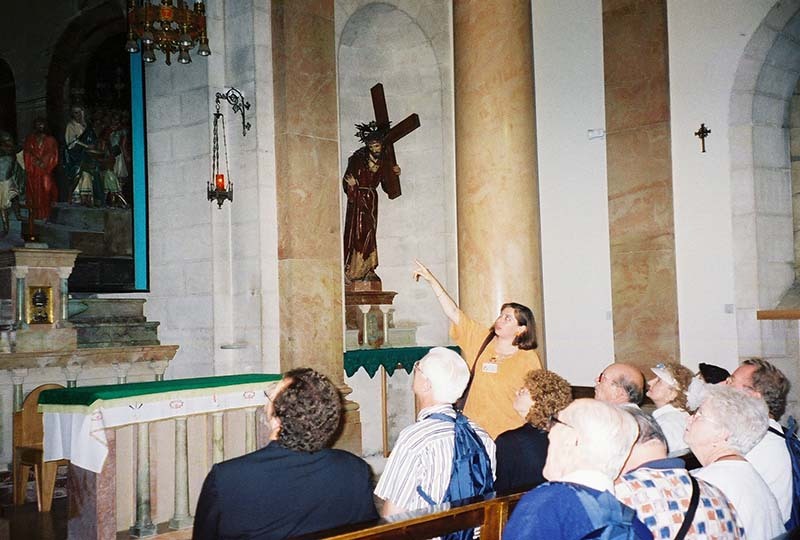 We start our experience of the Via Dolorosa in the Church of Condemnation, which commemorates the trial that took place just across the street in the fortress. 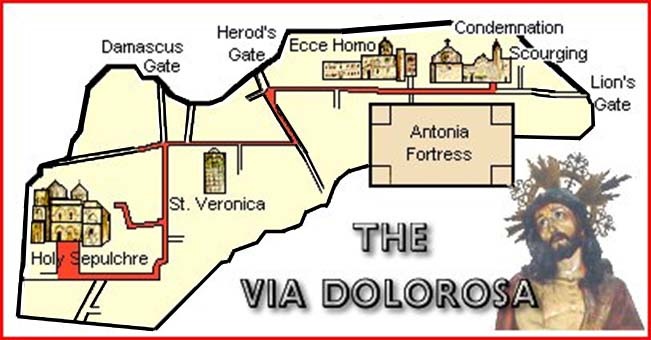 The red path shows where we walked in the footsteps of Jesus on the Way of Suffering. Click on the picture that our tour guide is pointing to, to see it yourself.